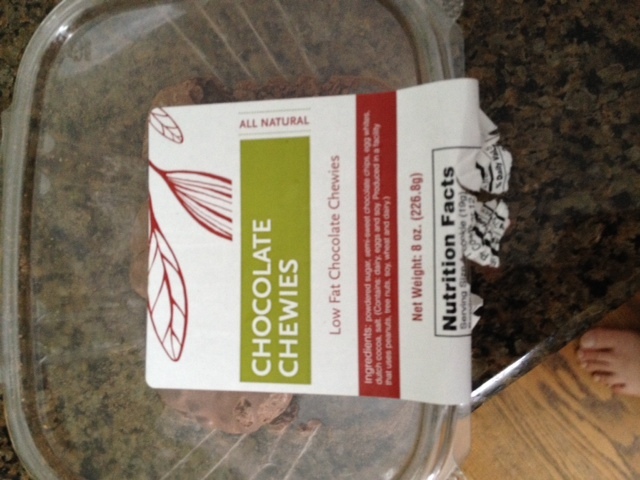 Chocolate Chewies have 70 calories and 1.5 grams of fat per cookie. 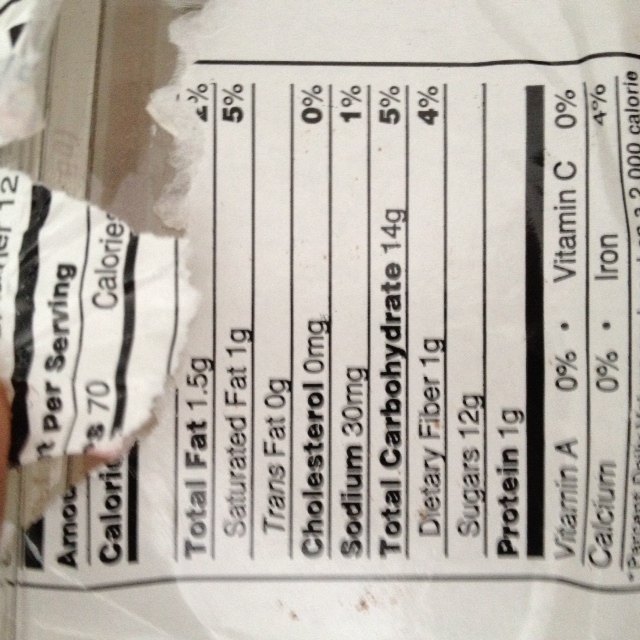 Each cookie has only 30 mgs of sodium and 12 grams of sugar. The sugar level is high if you’re diabetic I’m sure. A doctor once told me not to buy my diabetic mother anything with more than 10 grams of sugar per serving. The cookies look a bit odd, like flat pieces of mud, but they taste great, the most chocolate-tasting things I’ve found that are low fat. Interestingly, a recipe to make them at home on the Whole Foods Web site lists the home-made version as a bit higher in fat. I’m not sure why but I may try them and let you know how they turn out. I’m hooked on them, thanks Whole Foods, so many items you carry are high in sodium, it’s nice to see something tasty that’s low sodium and relatively low-fat.